When I first started singing I had zero vocal training and basically tried to copy the grit and gruff of my favourite singers like James Hetfield, Chris Cornell, Paul Rodgers and Freddie King without much regard for my vocal health or finding my true singing voice – I was happy if I could occasionally yell in key and that was it. Over time my already dubious ability to mimic these singers declined and I started to struggle to sing at all, I even gave up singing for a time and considered a different path in life – until I found my real voice. Since finding my true voice, I’ve not only become a well respected professional singer, but I’ve also started coaching singers all around the world just like you how to find their real voice! 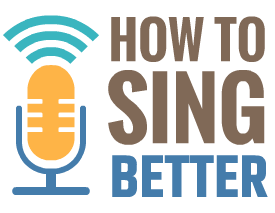 This simple but effective process really will change your voice, and might just change your life too! Singing itself really is just a simple process of pressure, vibration and resonance – but learning HOW to do this in practice takes many years of patience and training, not to mention all the different methods and approaches out there that over-complicate the whole process. For a time I really did feel like I was being pulled in absolutely every different direction by the many singing teachers that I was frequenting, along with the books, CDs and courses I was buying while trying to find my real voice. After nearly ten years of constant struggling and straining, I really was ready to give up and move on to something else in my life – but the answer really was just around the corner. These are the instructions for someone else’s voice – not yours. Even with all these incredibly important techniques and vocal elements, THE most important thing that I learned while finding my real voice was that the ability to sing doesn’t necessarily give you the ability to TEACH singing. That’s right, I went to many singing teachers who were truly spectacular singers (that’s why I went to them! ), but really had zero ability to coach and teach effectively – they simply passed on the exercises that were designed for their own unique voice and hoped for the best with mine. 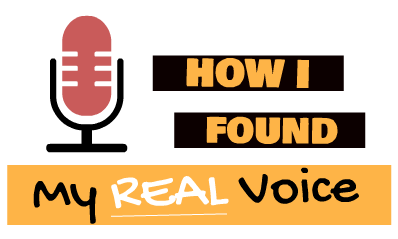 Finding an approach that was designed specifically for my voice and using this step-by-step process of elimination around every moving part to the voice is the only way to find your true voice and unlock your high range and resonance forever. I’ve now personally been coaching using this same step-by-step method for ten years myself now along with the other tools and techniques I have developed over 20 years of experience as a singer. The very first place you should start if you haven’t found your true voice yet is learning to blend chest and head voice together to create one fluid, smooth, strong and connected range that spans from your lowest note to your highest without any breaks or cracks – If you’d like to create a powerful mix voice from your own true resonance and real voice, I’ve created this exclusive mixed voice lesson designed to show you exactly how I found my real voice. 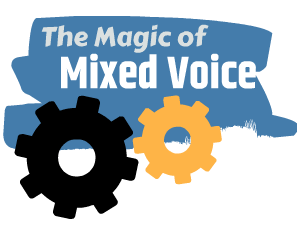 Are you ready to take your voice to the next level? If you have any questions about finding your true voice, feel free to leave any feedback or questions below!